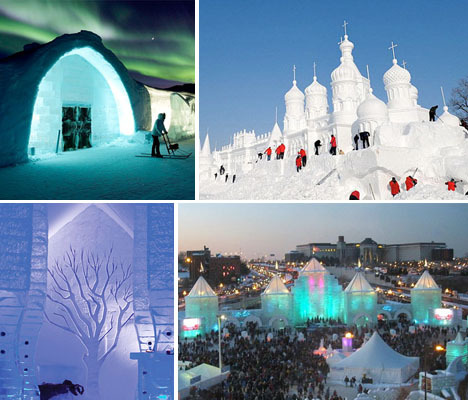 While you put the finishing touches on a lopsided snowman in your front yard, ice and snow artists around the world build life-sized ice castles, hotel rooms made of packed snow, and delicate ice sculptures stretching dozens of feet into the air. Illuminated at night, these amazing temporary structures built in some of the world’s coldest places each year look like something out of a winter fairy tale. 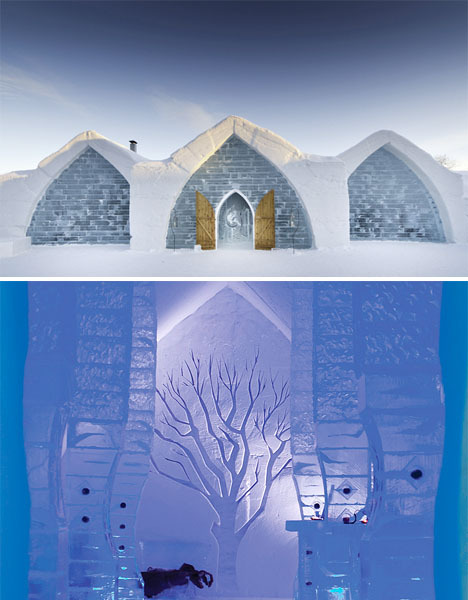 The only true ice hotel in North America, Hotel de Glace opens each January with a new theme. 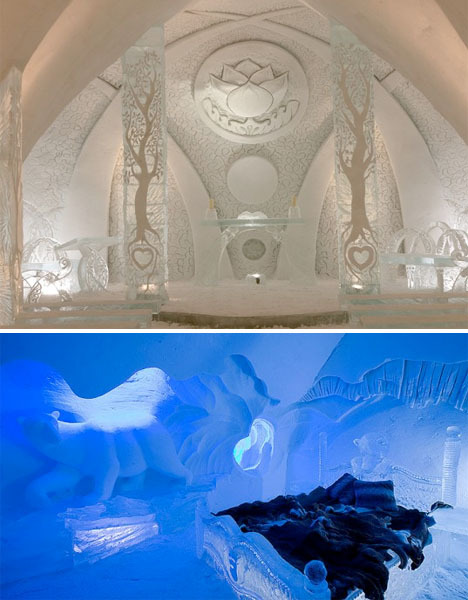 In early 2013, that theme was “A Journey to the Center of Winter,” inspired by the Jules Verne novel “Journey to the Center of the Earth.” It had 44 guest rooms as well as a spa, restaurant, chapel and a bar made of ice. 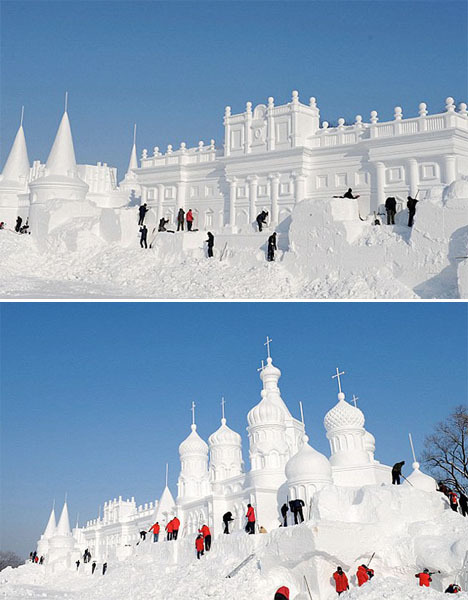 Incredible replicas of Renaissance architecture, classic Russian architecture and other impressive structures are recreated at China’s Jingyue Snow World Festival each year. 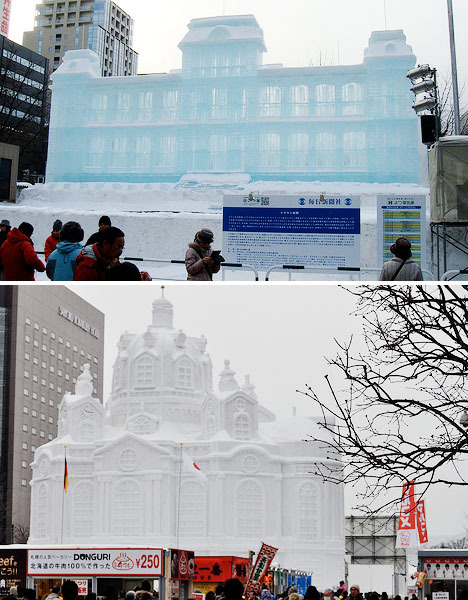 While not quite life-sized, this ice and snow architecture often reaches heights of thirty to forty feet. They’re hand-carved using low-tech tools. 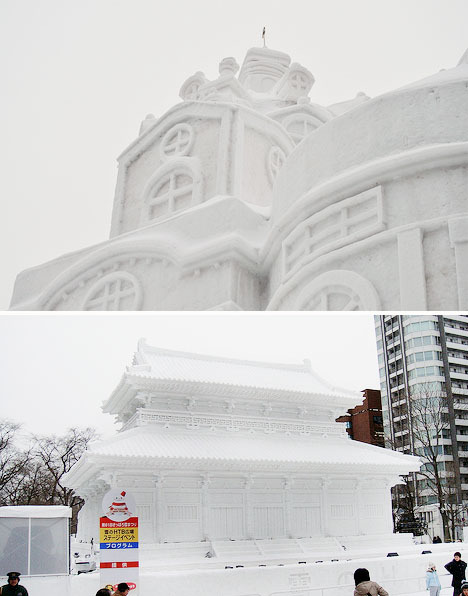 For just seven days each February, millions of visitors gaze upon intricately carved ice architecture and other large-scale sculptures for the Sapporo Snow Festival on the streets of Sapporo City. More than 10 teams compete in the International Snow Statue Contest to build structures reaching 50 feet tall and 150 feet wide, including life-sized dinosaurs. The largest structures can cost up to $100,000 to create, so they’re typically sponsored by countries or corporations. 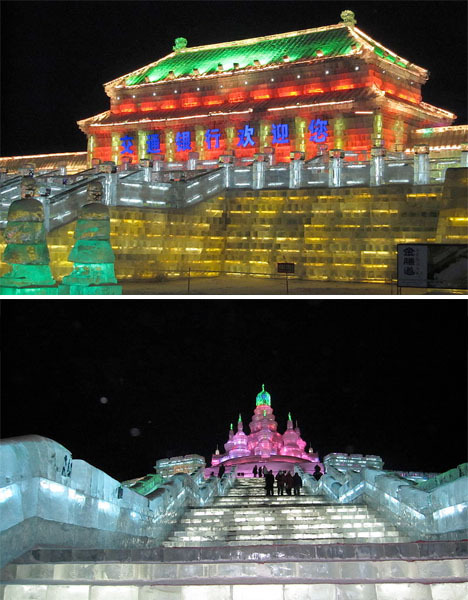 Harbin, China transforms into an ethereal showcase of ice architecture and sculptures illuminated in bright colors each January. 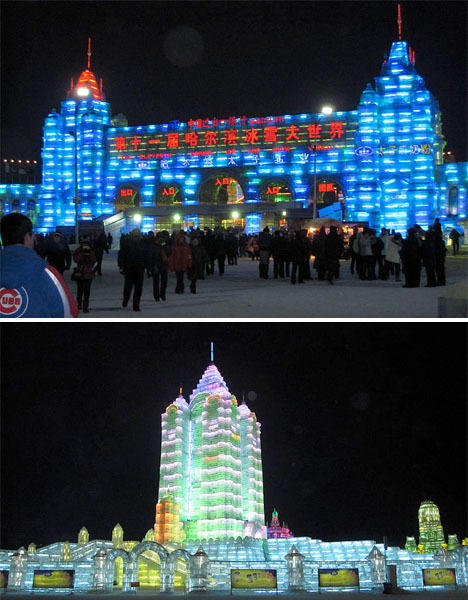 The annual festival began as a traditional ice lantern garden party in 1963 and is now the largest snow and ice festival in the world, taking over virtually the entire city, with a unique theme each year.